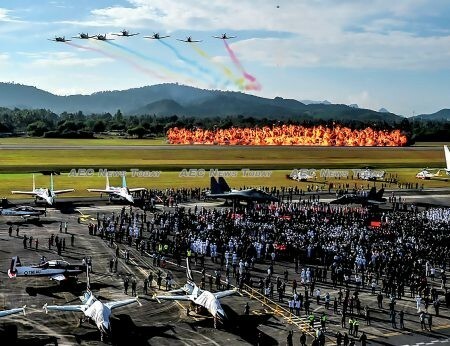 All eyes in Langkawi will be looking skyward at the end of the month when the annual Langkawi International Maritime & Aerospace (LIMA) exhibition gets underway. 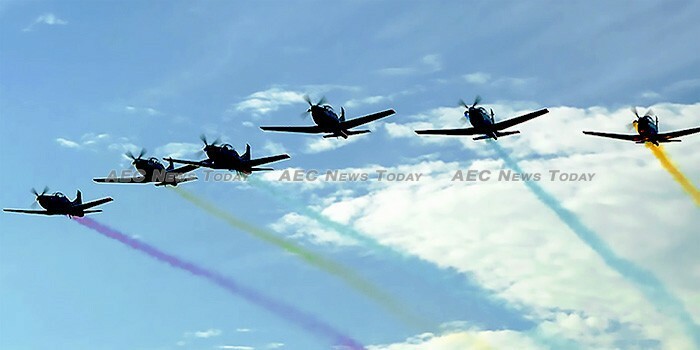 Held biennially since 1991 and hosted this year by the Malaysian Ministry of Defence, Ministry of Transport, and EN-Projects (M) Sdn Bhd., the Langkawi International Maritime & Aerospace exhibition will feature breath-taking daily aerobatic and flying displays by a variety of different aircraft types. Some 354 defence and commercial companies from 31 countries have confirmed their participation, with more than 100 aircraft and 30 maritime assets to be showcased over the four day event. Maritime exhibitions will take place at Resort World Langkawi, while the aerospace exhibition will be held at the Mahsuri International Exhibition Centre (MIEC). 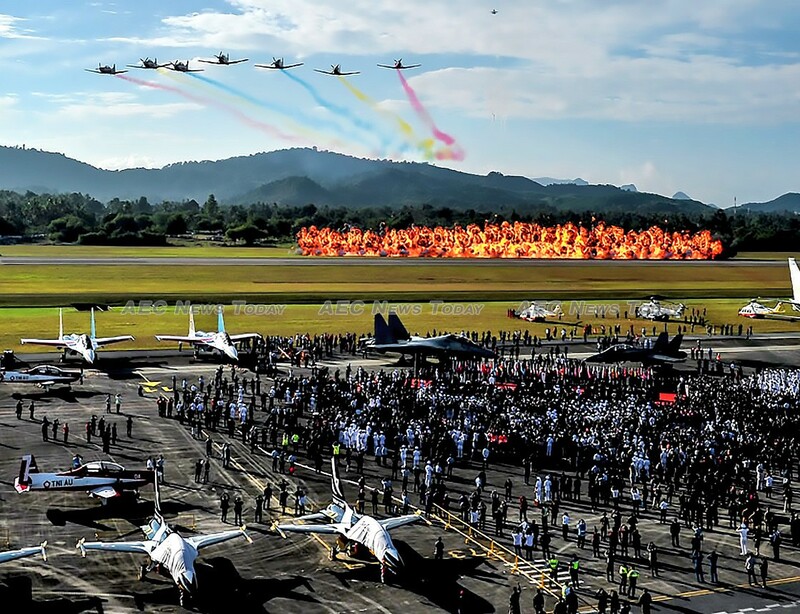 The Langkawi International Maritime & Aerospace exhibition gets underway on March 26 and runs through to March 30. The first two days are for trade and industry entry only. See here for Langkawi International Maritime & Aerospace (LIMA. In Putra Jaya eyes will also be skyward, but rather than super-sonic jets, these eyes will be scanning the skies for birds. Scheduled for March 15-17, the Putrajaya Bird Race at Taman Wetland will give bird fanciers and ornithologists the chance to observe some 200 different species of birds spread across 24 wetland areas. Participants will see a variety of migratory birds, including the green-backed flycatcher, Germain’s swiftlet, the Himalayan swiftlet, the two-barred warbler, the Asian paradise flycatcher, and osprey. Other species found in the wetlands include the purple heron, grey heron and black-crowned night heron. See here for more information on the Putrajaya Bird Race. If trekking through wetlands or the roar of supersonic jet engines isn’t to your liking, perhaps a touch of culture is. Malaysia will host the 8th World Summit on Arts and Culture between March 11-14 at the Kuala Lumpur Performing Arts Centre (KLPAC). Hosted by the International Federation of Arts Councils and Culture Agencies (IFACCA) and the National Department for Culture and Arts (JKKN) of the Ministry of Tourism, Arts and Culture (Motac), more than 500 artists, academicians, researchers, and policy makers from some 60 countries are expected to participate. 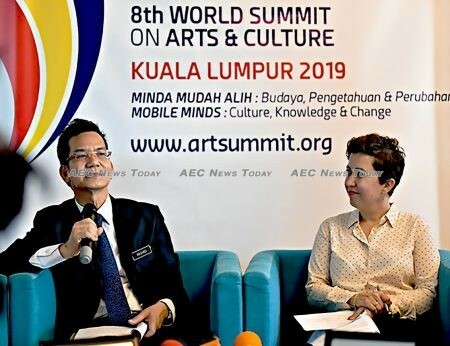 Rashidi Hasbullah, chief secretary of Motac, said Malaysia is hosting the event under the theme ‘MOBILE MINDS: Culture, Knowledge and Change’ in line with the new dimensions on arts and culture. He said delegates will be able to share and interact with each other on how government and policy makers can find a balance between preserving culture and development, and people’s transformation. See here for more information on the 8th World Summit on Arts and Culture. Also taking place in Malaysia this March is the Festival Islam Antarabangsa Johor Darul Takzim 2019. The four-day event, to be held at the Persada Johor International Convention Centre between March 28-31, is expected to attract more than 200,000 visitors to inspect the latest in Halal products and services. Some 300 exhibition booths will showcase goods and services promoting the ‘Muslim lifestyle’ including fashion, financial services, creative works, healthcare supplements, beauty care, foods & beverages, tourism services, and more. See here for more information on the Festival Islam Antarabangsa Johor Darul Takzim 2019.